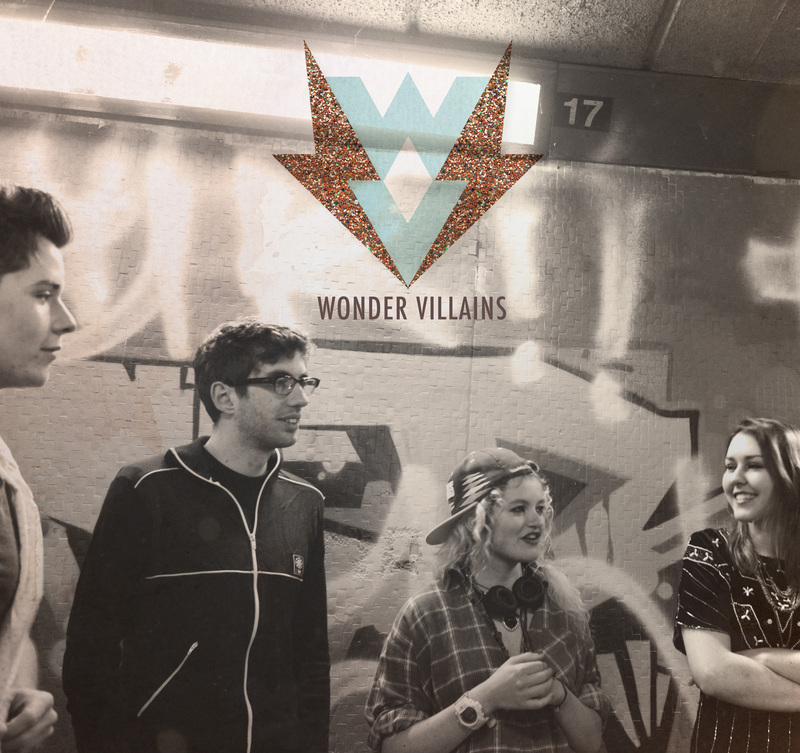 Recently I was able to catch up with Irish quartet Wonder Villains. Their song, “Marshall” was what first grabbed me attention as it reminded me of a song that would be in a 90’s teen comedy — In a fantastic way. If you like what you hear be sure to pick up their debut album Rocky when it comes out on June 23rd and scroll down to learn about their not-so-secret love for ABBA. SM: You guys recently played SXSW. How was SXSW compared to other large festivals? WV: The only shows that we’ve ever played in America have been at SXSW. So for us SXSW makes us think of sun, margaritas, waffles for breakfast, awesome bands and all things American. SM: Did you try any Texas BBQ? WV: Yeah on the drive to Houston for our flight home we stopped in a tiny village that seemed to have nothing in it except for this BBQ shop. It was great, although the vegetarian options for some of us were limited! SM: Every band has influences; what are some surprise influences (musical, or non-musical) on the band that one wouldn’t gather from first listen? WV: Maybe not a surprise but we’re all massive ABBA fans. It’s hard to wear too many ABBA influences on your sleeves, but we try. SM: What was the very first gig the Wonder Villains performed? WV: The first gig that all four of us played together was at the Oh Yeah Centre in Belfast. Every band had to play a cover so we played 5ive’s Keep On Movin’ and it went down a treat. SM: If you could have any super power on stage to give the best live performance possible what would that power be and how would you use it? WV: Flying would obviously be the best. If you took flight on stage, people would lose their minds. Although maybe we could organise that with a clever lever and pulley system. SM: Your debut album Rocky comes out in June, but you guys have been making music for years. Over time bands change, or evolve if you will, have you guys been tinkering around or experimenting with anything different that we can expect off Rocky? WV: The album is really a collection of our favourite songs since we started the band. So it’s got some songs that we have been playing since the very beginning and some that are brand new. We recorded some of the newer songs with our very own Ryan McGroarty which was cool and something different for us. SM: Is there anything on the calendar before the release of your album that you guys are really excited or nervous about? WV: We’re playing a few festivals around the UK before the summer – The Great Escape and Dot To Dot – which we’re excited about. Can’t think of anything in the nervous category. SM: That’s it guys. Thank you for taking the time to answer these questions and let us know whenever you make it to L.A. We’d love to catch a show. WV: No problem, sorry to took so long to answer them. Yeah I really hope we can make it to LA one day, would be a dream come true!